In recent weeks, there has been much commentary in Jordan on the importance of taking a new approach to Jordan’s bilateral relations. Strategically, it is imperative that Jordan continues to diversify its options, but this must be done with a clear plan and idea rather than clichés and propaganda. Global political dynamics have shifted, particularly with respect to the Middle East. From the Syrian crisis to the first dual Chinese and Russian UN Security Council veto in 2012, the ground has been shifting beneath us for a few years now. We must rebuild our bilateral relations based on these changes, and the potential changes over the coming years. Clearly, for a country like Jordan making a radical change in bilateral relations is not possible. 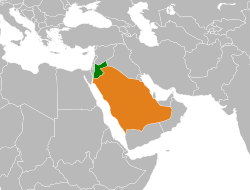 The Jordanian alliances with Gulf States and US are historic and cannot be changed in one day. However, we must face the new dynamics in the region and build relationships with new power brokers and influencers. Political policies should be based on building economic independency so for a dependent economy like Jordan’s, it is difficult to fathom any radical shifts in alliances. We must consider and devise ways to move towards economic independence, including an effective food security plan. We are so reliant on US aid, that three ministers and the President of the Aqaba authority hosted a red carpet ceremony a few months ago to receive a donation of wheat from America. Our bilateral relations must also reflect our geography and our neighbors, particularly as they have a great impact on our internal politics. If Jordan is to have any influence in the rebuilding of Syria and Iraq, then we need to consider how to transform the north of the country into an industrial and commercial hub for rebuilding Syria. However, in order to be able to attract industrial investment from Europe and Asia, we must have a strategy for engaging with and rebuilding relations with Damascus. We need a similar strategy for Iraq. We have the potential to attract large agricultural and energy projects, but we need strategic cooperation with Russia, China and Germany to bring that investment in. We must diversify our options, through long-term strategy and vision and finding mutual interests with new and diverse political players. We cannot follow populism, short-termism or the easiest path to our next aid donation. By the same token we cannot follow calls to build relations to Iran in response to US policy as there is no clear path to a better outcome for Jordan. Jordan clearly needs to reconsider its policies and bilateral relations. However, a new approach must be focussed on establishing economic independence, building industry and better outcomes for Jordan and its people. We cannot engage in petty regional or global politics, as that is likely to leave us I as we are now, relying on aid and donations and forever reliant on others.